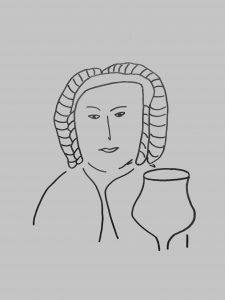 At BachBeer, we look at classical music through beer goggles. Visit any city in America, and you’ll likely find a brewery or five, each of which features traditional favorites, experimental offerings, and local ingredients. We’ve spent enough time with brewing enthusiasts to know that people can be thoughtful without taking themselves too seriously. We hope this blog, like a fine beer, will spark new ideas, good conversation, and fun. Mags and Seb are the pen names of this site’s creators. They were inspired by Johann Sebastian Bach and his second wife, Anna Magdalena Wilcke. Seb and Mags are professional musicians. Mags is a full-time church organist, and Seb is a part-time organist with a day job. MAGS is the creative one. 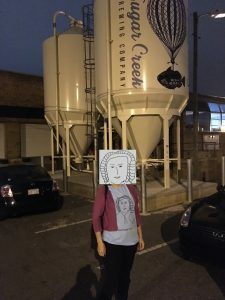 She came up with the name BachBeer, and she also drew the BachBeer logo. SEB turns Mags’s dreams into reality. He manages the website, and he writes the first drafts of most posts. But both Mags and Seb work together on all content. They also share all the beer. We chose the name BachBeer for two reasons. 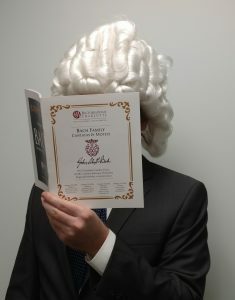 First, as we explained in a post, Bach drank a lot of beer. Second, the name reminds us of one of our favorite types of beers. Bock beer, like Bach, is German. 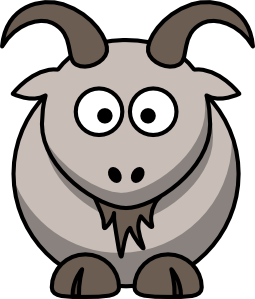 In fact, the word bock means goat or ram in German. The good people at HopCulture magazine describe bock as a lightly hopped dark amber lager with strong malt flavors. It typically is 6 to 7 percent ABV. Bock first appeared in the fourteenth century in the northern German city of Einbeck. K. Florian Klemp of All About Beer tells its history in an excellent article on the style. Einbeck was a member of the Hanseatic League, a group of European cities that protected each other’s trading interests. It was well situated to produce beer because it was in the middle of a hop-growing region. In 1612, Duke Maximillian I invited Einbeck’s best brewer, Elias Pichler, to Munich to teach the brewmasters there. Once the Bavarian brewmasters began brewing in the Einbeck style, bock became very popular. There are several theories about how bock earned its name. Klemp and many other beer historians favor the theory that bock came from a Bavarian word for Einbeck. At BachBeer, we believe beer and classical music go hand-in-hand. (In fact, we are listening to Chopin as we write this post.) Bock is a good example of that connection. Bock came from a Hanseatic city, and the Hanseatic League also was very important to the development of European music. Bock’s birthplace, Einbeck, is in Saxony, and Bach lived in Saxony when he worked as the cantor of the St. Thomas Church in Leipzig. When we find connections between music and beer, we develop us a deeper appreciation for two of our favorite things. Beer, like music, is culture, and we believe those cultures grow when they interact with one another. CHEERS!